Pharma Seeks Approval For Weekly Anti-HIV Injectable - Joe.My.God. “Essentially, if PRO 140 is FDA approved, the infected person could finally take a break and go on a vacation without having to remember their pills, and the exact times to take them each day. Some have been on their multiple pill regimen day-in and day-out for decades. Upon FDA approval, all they will need is a gentle reminder to inject a weekly dose of PRO 140 every seven days. They would be delighted to take a break from the stress of all those pills. We believe large numbers of HIVers are very much in need of PRO 140,” states Nader Pourhassan, President and CEO of CytoDyn Inc., clinical developer of PRO 140, an anti-body under development for HIV. Additionally, the Company recently announced that eleven HIV patients receiving PRO 140 monotherapy in an extension study have now successfully reached one year of maximal virologic suppression. These patients substituted their daily Highly Active Antiretroviral Therapy (HAART) regimen with weekly painless subcutaneous injections of PRO 140. These eleven patients have experienced successful monotherapy with PRO 140 for a period ranging from 12 to 15 months to date. Final results from CytoDyn’s 25-week Phase Three FDA trial are expected by the end of the year. Other companies are exploring injectable anti-HIV meds for PrEP usage. Short of an outright cure and vaccine, the ultimate goal for both uses would be a quarterly or even annual injectable. 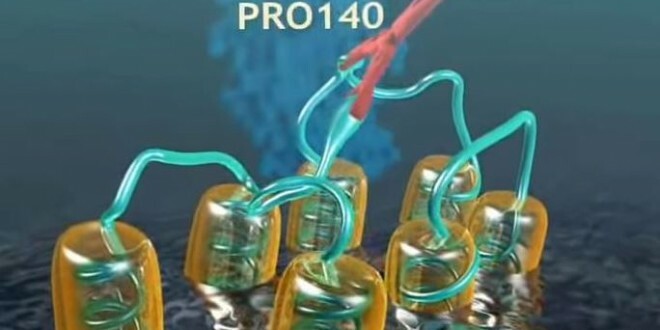 VIDEO: Below is a 2012 CytoDyn explanation of how PRO 140 works.